It is done ! We started several months ago with a call from Lynn to support the 'Sibling Together' Charity. It was quickly decided to support the charity's summer camps with quilts that the siblings can gift each other. And so we all started with great enthusiasm and more importantly even greater action. Quilts were made and are still being made in all corners of the world. I was one of those who volunteered to piece quilts together from individual blocks. My own call to support the charity was met with such a flurry of activity that for weeks on end I had almost daily deliveries of packages containing wonderful log cabin blocks (please use the search bar on the blog to the right to look for entries called 'Siblings Together'). 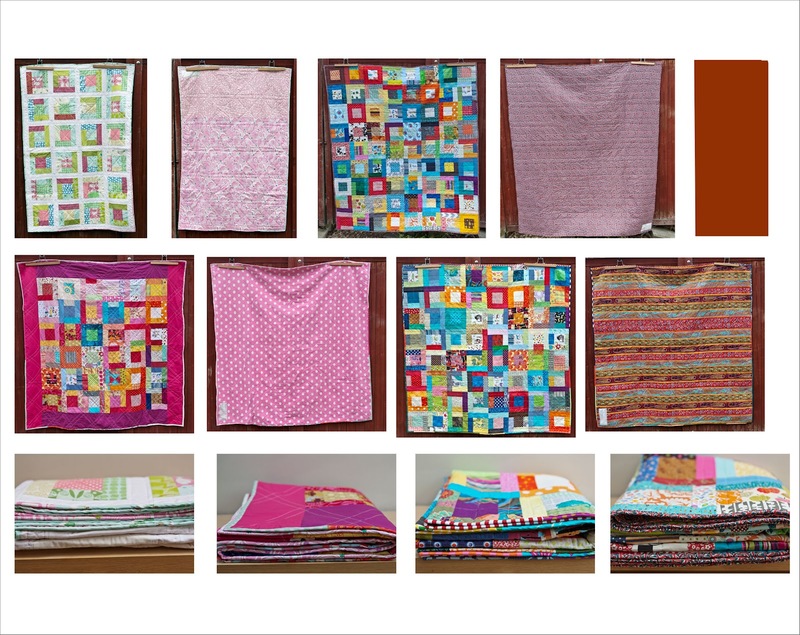 And the outcome of all this are four wonderful quilts that are now on their way to the charity right in time for the start of the summer camps at the end of July. I would like to take the opportunity to thank each and everyone who contributed to the project. First of all of course Lynn for her call "to arms", then of course each and everyone who sent me blocks. You guys rock ! You sent me blocks from as far way as Australia, Israel, the Eastern European countries, Canada, Germany, Holland, Norway...... and of course the UK. Then I would like to thank the sponsors who generously gave fabric and wadding; thanks are going to Corinne and Tina for Tikki Ltd. who donated backing fabric for two quilts and to the ladies of the LMQG who donated wadding that went a long way in making those quilts. 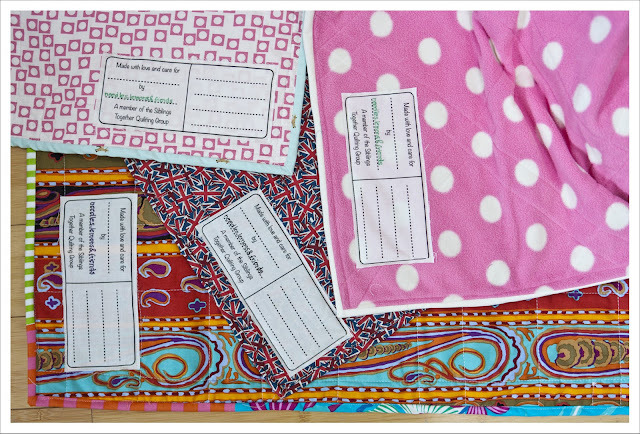 Thanks also go to Laura who organized the labels for the quilts which I believe where in turn sponsored by Spoonflower. It has been an enormous pleasure to work on these quilts and I am quite frankly the happiest person that I was able to help organise this. Fabulous job Judith and everyone else involved! Thanks for the opportunity to take part Judith! You did a great job! They look amazing Judith! Well done you for getting them all done!! Briliant job, you and everyone else! Well done. Congratulations! A job well done! 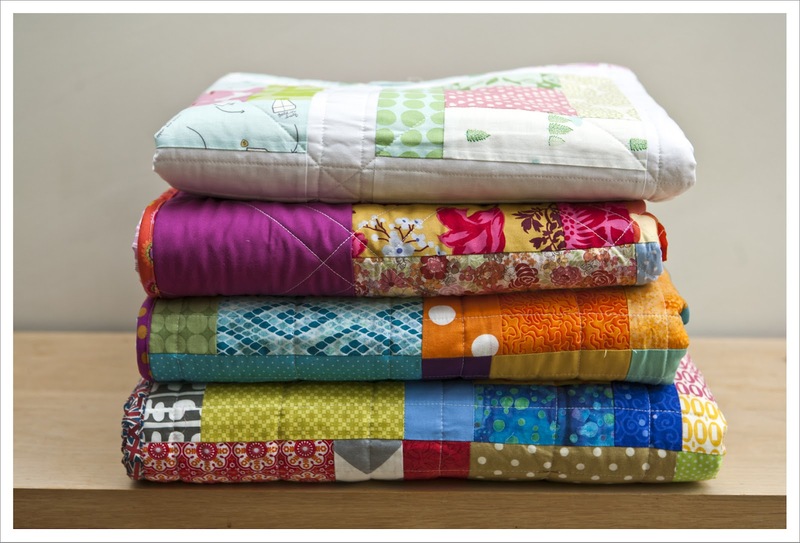 You did a brilliant job gathering in those blocks and turning them into such wonderful quilts. What a lot of work on your behalf for a wonderful cause. Your quilts are great - well done for making such a good job of putting those lovely blocks together. The quits are lovely, thank you for the opportunity to be a part of this. The quilts turned out great - imagine the childrens faces when they gonna get them! You did a great job, Judith! They look fantastic!! It really has been an amazing thing to be a part of. Fab job, Judith, they are gorgeous quilts.